The burial service will take place in the chapel located in the administration building. Service will begin at 12:00 noon. In lieu of flowers memorials to the Noemi Moralez Family in care of Michael A. Moralez, appreciated. 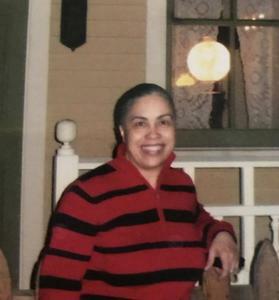 (nee Rivera) Entered into her rest March 17, 2018, at the age of 56. Beloved wife for 37 years of Michael A. Moralez. Cherished mother of Carmen Brendaliz (Carlos) Casso, Miguel Angel (Shanalise) Moralez and Julio Angel (Monica) Moralez. Loving grandmother of Makayla, Carlos, Iasbelle, Jonathan and Emylia. Loving daughter of Carmen Rivera (nee Monje) and the late Julio Rivera. Dear twin sister of Norma Rivera. Further survived by other relatives and friends. Visitation Monday, March 26, 2018 at Tabernaculo de Vida 1136 W. Madison Street, Milwaukee, WI 53204 from 4:00 PM until time of the Funeral Service at 7:00 PM. Interment 12:00 PM Tuesday, March 27, 2018 at Southern Wisconsin Veterans Memorial Cemetery 21731 Spring Street, Union Grove, WI 53182. In lieu of flowers memorials to the Noemi Moralez Family in care of Mike Moralez.